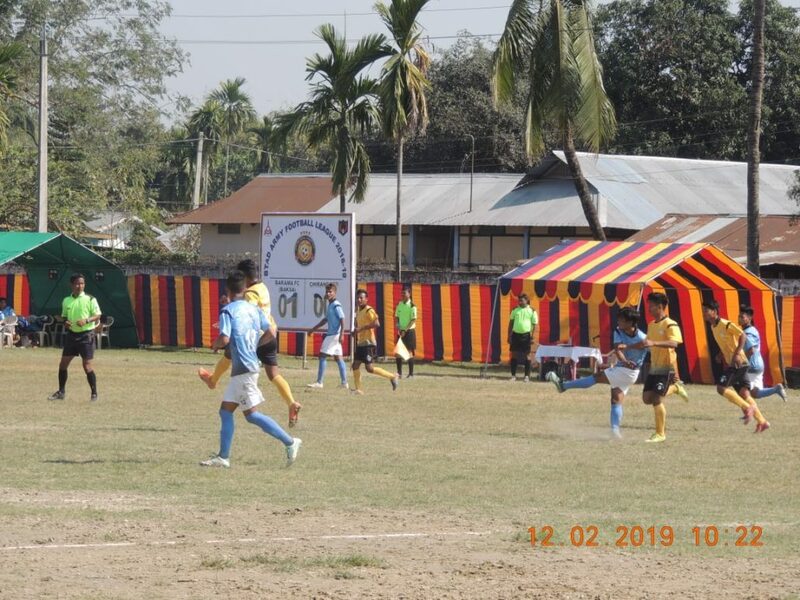 Bodoland Territorial Council (BTC) and Indian Army have joined hands for the third time to explore the vast reserves of untapped potential of footballing talent in Bodoland Territorial Area Districts (BTAD) of Assam. This platform gives an opportunity to the youth from the remotest comers of Bodoland Territorial Area Districts to come forth and exhibit their talent to the world. This tournament aims to identify and suitably groom talented players directly from the far flung villages of Bodoland Territorial Area Districts thereby diving into the passion and talent of the youth towards the most widely followed sport in the world. It also aims to foster sportsman spirit, promote unity and spread goodwill among the local population, as football cuts across all ethnicities, and also the social and economic backgrounds of the entire population. Round Robin legs of Army BTAD Football league was conducted in all four districts of Bodoland Territorial Area Districts in October/ November 2018. The champion and runner up teams from each of the districts will be competing directly in the knock out leg, i.e. the quarter finals, semi finals and final at Kokrajhar under the aegis of Red Horns Division. In its third edition, this football league will witness teams competing for the scintillating finals on February 17 next.